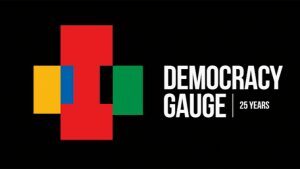 The South African Broadcasting Corporation (SABC) has launched a multi-platform production called Democracy Gauge. The project, which commemorates 25 years of South Africa’s democracy, starts on Monday 4 March 2019 and will run until the end of the year. Democracy Gauge is about the electorate, their lived experiences, and their views on the country’s successes, failures and challenges. The project will see about 210 South Africans profiled across the length and breadth of the country throughout the year. They will share their lives and experiences of 25 years of democracy. “Democracy Gauge places the power with the citizen and supports the notion that while elections are the centerpiece of democracy, the decision on who governs lies with the electorate. It provides an unscripted and unrestrained opportunity to the electorate to give their personal accounts without the involvement of politicians making their promises or analysts predicting outcomes on their behalf,” the broadcaster statement explains. The post SABC launches multi-platform production ‘Democracy Gauge’ appeared first on SABC News – Breaking news, special reports, world, business, sport coverage of all South African current events. Africa's news leader..